While you won’t get a lot of use from this if you are committed to programs like P90X or Insanity, you’ll have a hard time finding a piece of equipment that gives you a better full-body workout that this TRX Home Gym Suspension Trainer. It’s easy to install in nearly any doorway, and you will begin building muscle by using your own bodyweight as resistance. This is also a great product to take with you on vacation or work trips because it can be set up in about a minute and it’s lightweight for easy travel. If you’re serious about building muscle, free weights should be a part of your home gym. The best product we’ve found is the Powerblock Elite Dumbbell. This set of dumbbells can get as heavy as 50 pounds each, and it’s stable base makes it ideal for exercises that require you to put body weight on the dumbbells. They also offer expansion packs to increase weight that are easy to add on to existing weights. 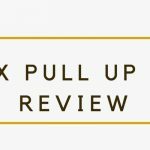 The biggest issue with most pull up bars is that they are cheap and break down easily. The Pro-Grade Chin-up Bar for P90X is a great option, despite its higher price tag. 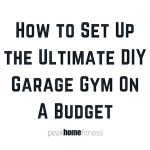 What you get for the extra price is a quality piece of equipment that won’t break down and has lots of grips so you can work different muscle groups. Pro Tip: make a game that whenever you cross under your pull up bar, commit to doing 5 or 10 pullups. This way, you’ll condition your body to perform the movements and get the added benefit of doing hundred of extra pull ups each month without realizing it! Balance, stability, and core are three areas that often get neglected whether in a home gym or box gym. Bosu balls offer ways to tweak traditional workouts like pushups or squats to engage your core and get that body you want in less time. The Bosu Balance Trainer is our pick for best Bosu Ball on the market. Resistance bands are great for stretching as well as being incorporated into workouts. The Fit Simplify Resistance Bands are a great deal and come with five levels of resistance. 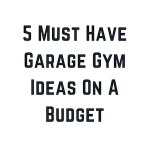 Use them for your workouts or for any recovery work you might need. These are definitely something you will be glad you had before you REALLY need them! The Ab Carver Pro is probably the best ab-focused piece of equipment you can buy for your home gym. A lot of times, we lack creativity when it comes to working our abs. The Ab Carver Pro is a simple machine that is easy to use and will have your core firing from your first rep.
Slam balls are great for stability and core work, and also are easily incorporated into Crossfit or HIIT style workout circuits. They are extremely versatile and the SPRI Dead Weight Slam Balls have the best blend of quality and cost on the market. They are durable and will stand up to all sorts of slams, wall balls, and ab work. Weights range from four pounds to fifty pounds. While foam rollers won’t build up muscle, they will keep you from injury and performing at your best so you can continue on your fitness journey. We love the Reehut Foam Roller because it is cheap, but gets the job done. You don’t have to spend a lot on a foam roller, but the benefits you’ll see are worth ten times the cost of this product. Finding ways to get cardio in when you’re stuck indoors can be difficult. Luckily, if you have 8 feet of space in your basement or garage, jump rope is a great way to get a killer workout in with limited time. The Rogue SR-1S Speed Rope is a quality American made jump rope that will last and fits easily into your budget. Even if you don’t do Yoga, having a dedicated Yoga mat like the Lululemon Reversible 5mm Mat in your home gym can really open up your workout routine. If you do enjoy yoga, you know that the extra padding like you get with this mat means added comfort and will encourage you to continue your home practice.